Beuty of this process is you can get your walls with occlusion in your Sketchup. Also you can push it further by processing those textures in Photoshop to get more punch out of them. The possibilities are quite big. i love this thing. thanks for the tut, nomeradona! that looks really cool ross . the reflections look great. 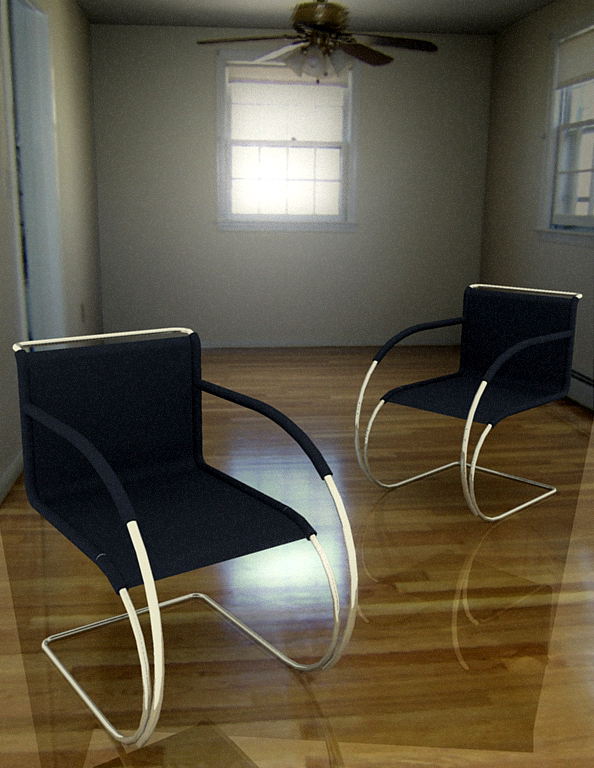 maybe add a touch of noise/blur to the chairs to match the projected textures a bit closer. i actually did with diffuse glow. maybe a bit more wouldn't hurt. it's just a test try anyways, but i'm hoping to use it for some real projects soon and get a bit more sophisticated then! your welcome.. not bad at all. pretty good actually. anyway of achieving the same result with the free version of sketchup?